Benchrest is a discipline of target shooting shot from a bench from a seated position. The rifles are supported on the bench by a front rest and back bag. It can be shot indoors or outside using either Air rifles or .22 Rimfire rifles. The targets are set at a distance of 25 meters for Air rifle and 25 meters and 50 meters for Rimfire rifles. The targets are A3 in overall size each one consisting of 25 individual scoring targets and 5 sighting targets down each side. Multiple shots can be taken at the sighting targets but only one shot per scoring target is allowed. This is shot within a 20 minute detail. If outside wind flags are also used to aid accuracy and help the shooter determine wind speed and direction. 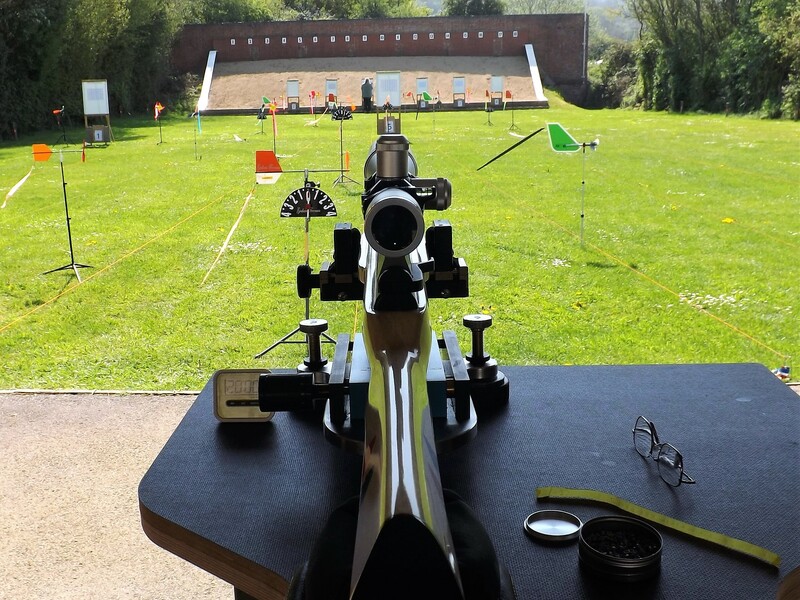 Benchrest shooting is a shooting sport in which very accurate and precise rifles are shot at paper targets. The rifles ride on a front and rear rest, the rests may or may not be joined, depending on the rules of a particular competition. The rests sit on a table or bench, hence the name “benchrest.” The shooter simply sits at the bench, in distinction to other shooting disciplines, where the shooter holds and aims the rifle without the benefit of a rest. The post-Civil War era “double rest” rifles were one early form of “benchrest” rifles. Benchrest shooters are notoriously detail-oriented and constantly trying to further the accuracy potential of the rifle through experimentation. Nearly all benchrest rifles are custom made and many shooters do their own gunsmithing. Nearly all shooters in centerfire competition handload their ammunition in order to tune it to their rifle. In contrast, handloading ammunition is strictly prohibited by the rules for rimfire benchrest competitions.